AUGUST 20, 2015 -- Imagine yourself preparing for your next trip to the beach. The sun is shining and you drive with excitement to your favorite spot on the coast. But when you arrive, instead of being welcomed by clean sand and blue ocean waves, you see a thick black sludge washing over both beach and birds. 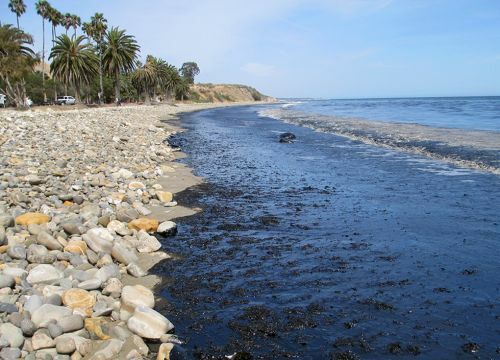 A ship just offshore has spilled oil that has made its way to your favorite beach. The spill is large enough to close the beach, halt fishing, and warrant advisories about eating local fish. Wildlife and their habitats are also fouled with oil. You might wonder: Who caused this and who is going to clean this up? How badly is this harming the local wildlife and how will the environment be restored? Who is going to pay for it? How long will the beach and fisheries be closed? And how can a disaster like this be prevented? Before 1990, there was no single law to deal with all these questions. A series of existing federal, state, and local laws contained general provisions about oil spill cleanup, liability, and compensation, but they were largely considered to be inadequate. Fortunately, on August 18, 1990, a little more than a year after the Exxon Valdez disaster, the Oil Pollution Act was passed and signed into law. This historic and timely legislation gave NOAA and other agencies the authority to address impacts to natural resources caused by oil spills in navigable U.S. waters and shorelines. The law is designed to prevent oil spills, ensure cleanup if they occur, and restore the natural resources impacted as a result of spills. Those responsible for the spill must restore the environment and compensate the public for its lost uses (like beach and recreational fishery closures), from the time of the incident until those natural resources fully recover. NOAA has been working to protect and restore impacted natural resources at hazardous waste sites and oil spills since the early 1980s. In 1992, shortly after the Oil Pollution Act came into effect, NOAA created the Damage Assessment, Remediation, and Restoration Program (DARRP). The program was established as the central location for expertise in NOAA to assess, restore, and protect coastal environments damaged by oil spills, hazardous waste releases, and ship groundings. DARRP brings together scientific and legal experts from three parts of NOAA: the Office of Response and Restoration, Office of Habitat Conservation, and General Counsel for Natural Resources. In DARRP's 23 year history, our experts have assessed the environmental impacts of dozens of oil spills and recovered nearly $2 billion from those responsible for oil spills. These funds are being used to restore a variety of habitats—from tidal wetlands and coral reefs to sandy beaches and rocky coastlines—as well as the sea turtles, fish, birds, and other wildlife harmed by spills. This even extends to funding recreational improvement projects, such as boat launches and fishing piers, to make up for oil spills' impacts on outdoor recreation. Since then, DARRP staff have worked cooperatively with other agencies to assess and restore impacted natural resources resulting from oil spills on the coasts and Great Lakes. As we celebrate the 25th anniversary of the Oil Pollution Act, we're looking back on a few oil spills around the country and DARRP's work to assess and restore the natural resources harmed by those spills. On June 10, 1999, a rupture in a pipeline running through Bellingham, Washington, discharged approximately 236,000 gallons of gasoline into a tributary of Whatcom Creek. Fumes from the gasoline ignited a fire, which moved down Whatcom Creek and through a city park and residential neighborhoods, tragically taking the lives of three children. DARRP worked with partner agencies to assess the impacted natural resources. The incident destroyed critical habitat for salmon, killed hundreds of thousands of fish and aquatic wildlife including crayfish and amphibians, and burned 42 acres of habitat and parkland. Fisheries were closed in Whatcom Creek and its tributaries for three months. Thanks to the Oil Pollution Act, a settlement with the Olympic Pipeline Company in 2004 provided more than $3.5 million for restoration. The funds were used to restore freshwater marsh and vegetation, creek channels and pools, and salmon habitat. In addition, the city park was expanded by 13.4 acres, and recreational enhancements, like trailheads and bathroom facilities, are expected to be completed this year. On November 26, 2004, the M/T Athos I hit several submerged objects in the Delaware River while preparing to dock at a refinery in Paulsboro, New Jersey, releasing nearly 265,000 gallons of crude oil. 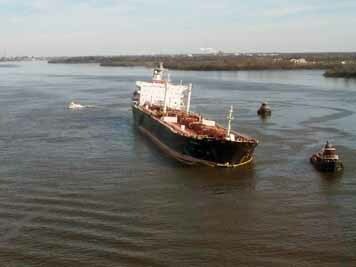 Oil from the tanker spread 115 miles downriver, impacting 280 miles of shoreline in Pennsylvania, New Jersey, and Delaware. DARRP worked with partner agencies to identify impacts to shoreline and river-bottom habitats, birds, and recreational activities like fishing, boating, and hunting. A settlement in 2010 provided $27.5 million for 10 restoration projects for the coastal environment and community. Projects include the restoration of shorelines, streams, marsh, meadows, and grasslands; recreational trail improvements; dam removals; boat ramp restoration; and oyster reef creation. On July 25, 2010, a failure in an Enbridge pipeline released approximately 843,000 gallons of diluted bitumen, a diluted form of oil from oil sands (tar sands), into Michigan's Talmadge Creek, spreading nearly 38 miles down the Kalamazoo River. This release of oil was one of the largest inland oil spills in U.S. history. The oil impacted more than 1,560 acres of stream and river habitat, as well as floodplain and upland areas. The release impacted birds, mammals, reptiles, and other wildlife, and the river was immediately closed to the public, impacting recreational and other uses of the river. On June 8, 2015, a settlement was reached with Enbridge, the responsible party, for nearly $4 million. The settlement will fund multiple restoration projects along the Kalamazoo River. NOAA and partner agencies released a Draft Damage Assessment and Restoration Plan/Environmental Assessment [PDF] for public comment in May 2015. These cases represent just a small sample of the coastal environments and species impacted by oil spills that DARRP works to assess, restore, and protect. We're thankful for the Oil Pollution Act and the ability to look back on the last 23 years of successful environmental restoration in its wake. For a closer look at the other oil spills, hazardous waste sites, and ship grounding sites that DARRP has worked to restore, check out https://darrp.noaa.gov.